I’d like to say my recent trip to Florida left me with a bit of sunburn, some great memories and some new appreciation for America’s Sunshine State. On one hand, it did. On the other, it was a sad snapshot of what America has become and where it’s likely heading. What started with a trip to Allegiant Airlines website checking on prices to Mesa, AZ ended up with $49 tickets to Sanford, Florida from Gary, Indiana. I couldn’t pass up the deal. Sanford is just north of Orlando and if you follow the shortest route from there to the east, you run out of road on Florida’s “Space Coast.” From the backyard of the cottage we rented you could look across the Indian River Lagoon and see the space shuttle buildings at the Kennedy Space Center. Peggy and I passed on a visit to the Space Center’s Visitor’s Center at 38 bucks a ticket so we detoured to the other side of the place and toured the Merritt Island National Wildlife Refuge. The “wildlife drive” cost only five bucks a car (and is free to visitors with a duck stamp) and we probably saw as much neat stuff - though different - than what we’d have seen at the space center. We got some sun. Saw some alligators. And more. 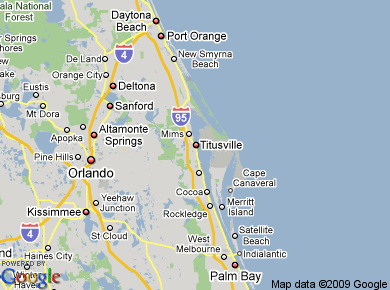 The more, sadly, is the almost third world look to Titusville and nearby communities on the Space Coast. The area has been dealt a triple blow. There’s plenty of evidence that the insanity that created the “housing bubble” was in full bloom in the area a few years ago. There are condos, developments and “planned” communities as well as bridges and roads to nowhere. Now that’s evolved to half-filled condos, developments going back to nature and roads growing weeds in the cracks. All of Florida is tourism driven and a haven for snow-birds from northern states who choose to winter where it’s warm. The down economy has changed that. Why else would all the hotels and R.V. parks be half (or more) empty at what should be the high season? The third whammy is the end of America’s space program. The empty homes, closed businesses and abandoned strip malls show what happens when the major employer in an area closes. Perhaps that’s why I enjoyed the trip around Merritt Island. 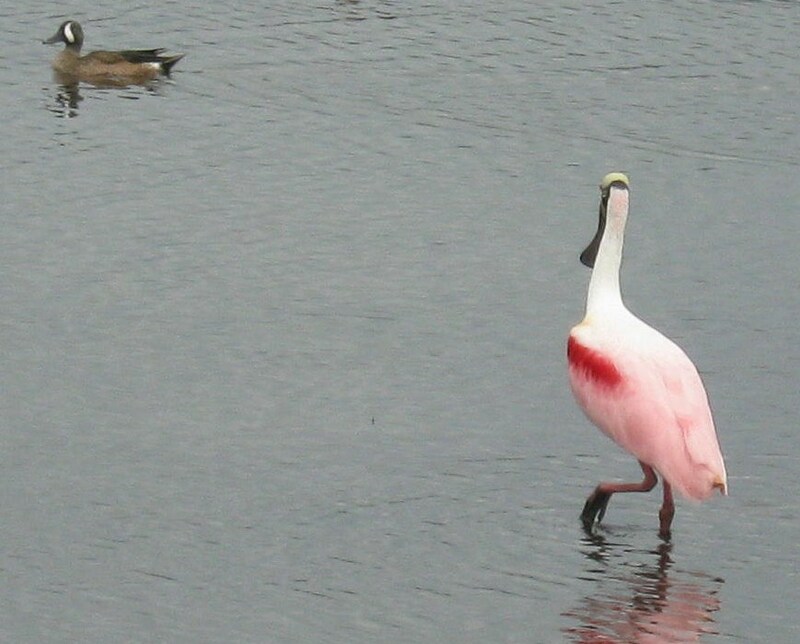 The ducks, shorebirds and ‘gators don’t much care what’s happening on the mainland.